If you are a woman you need to read this! You may not be at the point in your life that you are worrying about any of this, but you know someone who is and you will get there eventually! 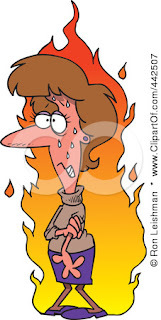 At a certain point in life women enter a phase called menopause. During this time women's bodies slow down their production of the hormones estrogen and progesterone and then they cease to produce them all together. I'm sure you have all heard of menopause and men and women both cringe at the thought. Hot flashes, mood swings, night sweats, weight gain, and memory loss are just a few fun things to look forward to! Even if you think you can suffer through the side effects do you know what else menopause brings on? A weaker you! What is the leading cause of death in women? - Heart Disease. Did you know that estrogen and progesterone keep your heart healthy? What about Osteoporosis? Did you know that these hormones also enable your bones to absorb calcium? So without these hormones you are setting your body up to not function as well and efficiently as it could! Doctors know this; which is why they have synthetic hormones to take the place of the ones your body is not producing. Did you know that legally if you ask them they have to tell you that those hormones can cause cancer? You can only be on the hormones for so long and at a certain dosage or your risk increases. The risk is so great in fact that studies have had to be stopped because too many of the women participating in them were getting cancer! DO NOT TAKE SYNTHETIC HORMONES!! So if you need the hormones but shouldn't take the synthetic hormones what should you do? Of course I have a solution for you! 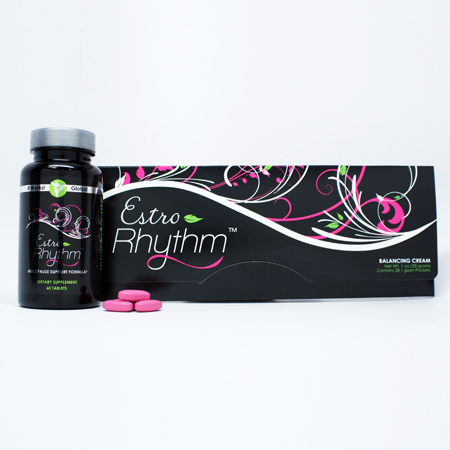 Estro-Rhythm is the world's first naturally based, single-use daily system for menopausal symptoms. Its superior formulation uses all natural active ingredients to help you "get your rhythm back" without the worries associated with synthetic solutions. Customer-tested in multiple studies showing improvements in participants over 40. Estro-Rhythm is a two-part daily solution that includes a supplement and conveniently pre-measured, daily balancing cream application for no mess and no guess. I have clients on this product who have noticed significant results in as little as 4 days! You will get the you back that you know and love! This product is designed for women who are pre-menopausal, menopausal, and post menopausal. If you are feel safe with rubbing a yam on your arm you will feel safe about using this product because the hormones are plant based! Take the ingredients to your doctor to check out but don't wait! You need this and you won't be sorry you found it! !